MASSENA -- Massena Memorial Hospital received a “No Findings Inspection” during its Mammography Quality Standards Act inspection this past December, which is the top rating a facility can earn, said a press release from the hospital. “This achievement is the result of a passionate team of professionals dedicated on a daily basis to ensure the highest quality standards. I am even more proud that this same team has accomplished this achievement for 10-years running from 2008 through 2018,” said Robert Elsner, MMH medical imaging director. According to the report MMH received, the MQSA certified inspector did not observe any violations of the MQSA quality standards. 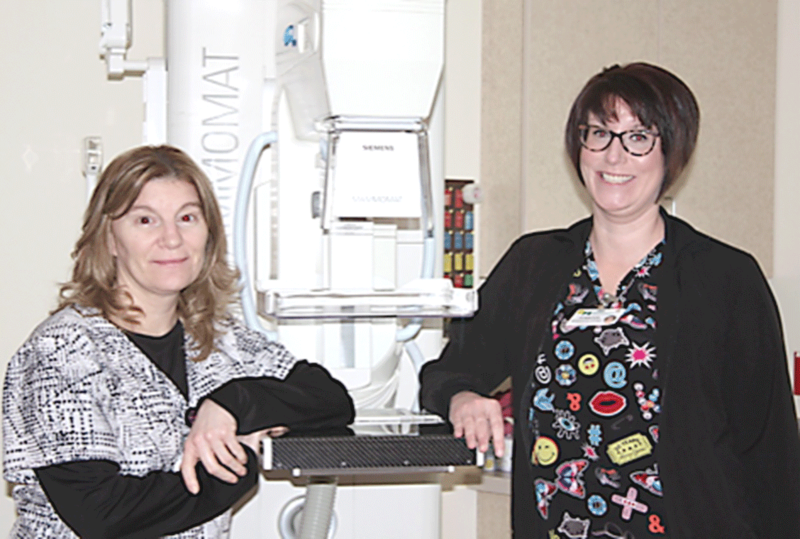 Members of the mammography team at MMH include Jennifer Desilva, Paula Reynolds, Kathy Mason, RN, Sue Hummel, RN, and Terence Schumpert, MD, radiologist. For more information about MMH’s women’s imaging services, visit www.massenahospital.org/our-services/medical-imaging .